After initially suspending production on Netflix original series House Of Cards following sexual assault allegations surrounding lead actor Kevin Spacey, the company has now announced that Spacey's character will be written out of the final season. Earlier this week, Kevin Spacey was accused of sexual misconduct by then teenage actor Anthony Rapp. At the time of the initial allegations, the sixth season had been fully plotted and two episodes were filmed. 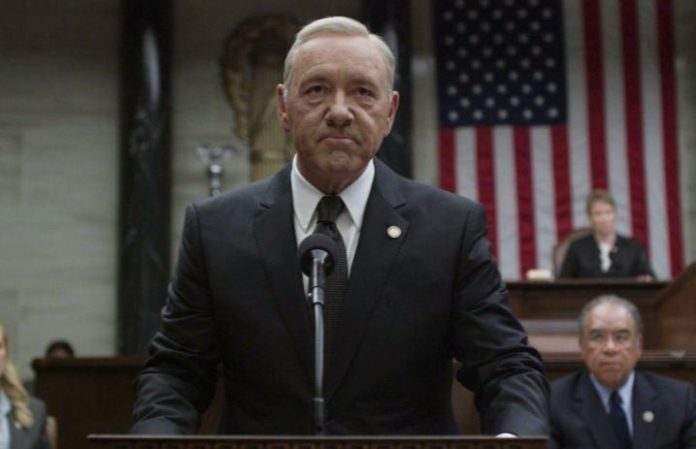 Production remains halted while the writing staff handles the writing out of Spacey's character, Frank Underwood.